SINCE WE ALL GOT TOGETHER! 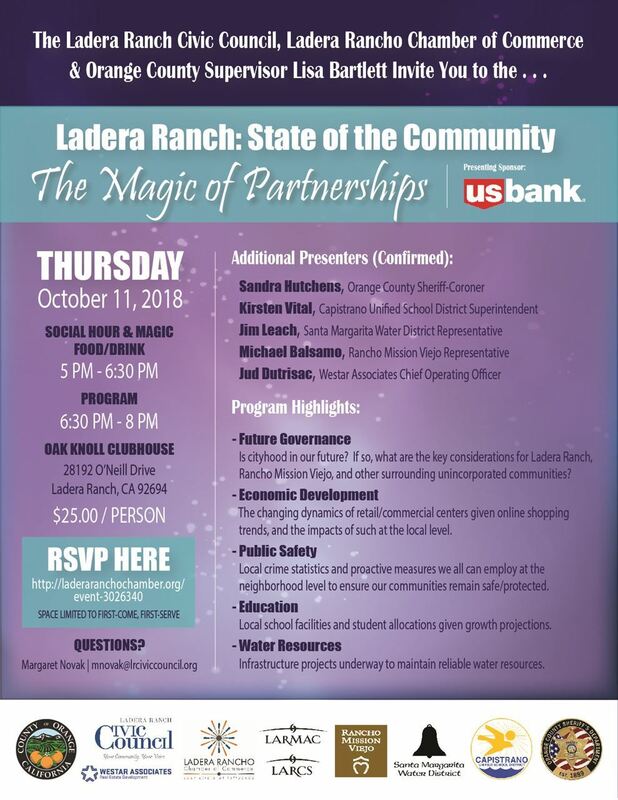 After an extended hiatus, the Ladera Rancho Chamber of Commerce and the Ladera Ranch Civic Council are proud to bring back the Ladera Ranch: State of the Community! 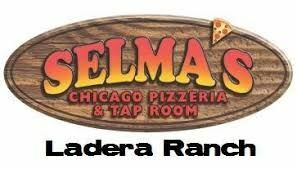 This event is an opportunity to hear from organizations that provide services to our area and to get updates from each of them about how they are helping to make the best Ladera Ranch possible. It is also an opportunity for us to look forward - to consider our future and what steps will be necessary to achieve it, including how we may work closer with our sister community Rancho Mission Viejo. We will start things off with a cocktail hour and dinner outside at the Oak Knoll Clubhouse, where we will be visited by a roaming magician performing magic tricks! After all, the theme of our event is the Magic of Partnerships! We will then move inside to hear updates from our member organizations, the Orange County Sheriff's Office, Capo Unified School District, Rancho Mission Viejo, property manager Westar Associates, Santa Margarita Water District and 5th District Supervisor Lisa Bartlett, our de facto Mayor. It will be a memorable event. This event will fill up, RSVP now! Food and drink is included! The dress is business casual please.